In this charming comedy of manners, one of Shakespeare's earliest efforts in the genre, a well-intentioned king vows to forego all fleshly delights, setting the stage for romantic hijinks. Ferdinand, the king of Navarre, insists that his court join him in a pledge to undertake a strict regimen of study and celibacy. The grudging compliance of three noblemen is sorely tested — as is the king's own resolve — with the arrival of a French princess and a trio of comedy attendants. 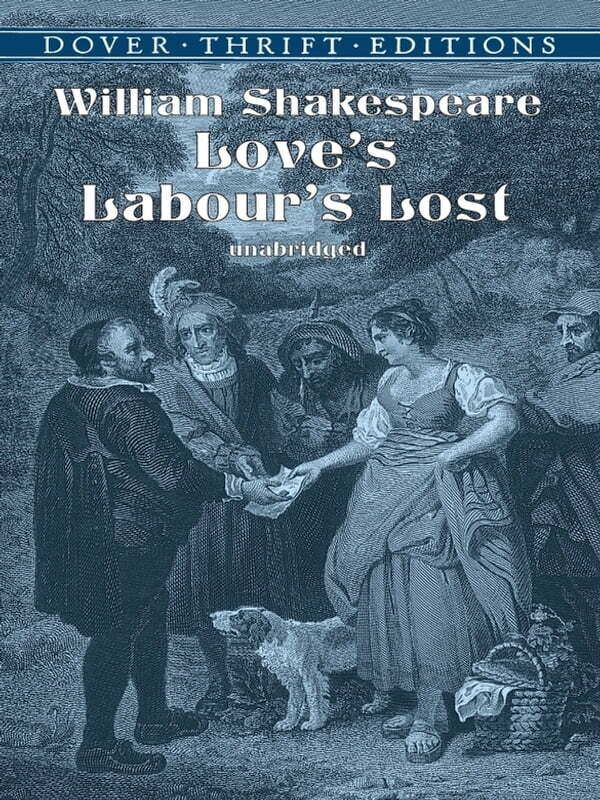 First performed in 1594, Love's Labour's Lost features such typical Shakespearean elements as lovers in disguise, a witty clown, and an abundance of sparkling repartee. The play's role as a formative work (the plot is thought to be entirely of Shakespeare's invention) makes it of particular interest to students and scholars, and its merry doings and high spirts recommend it to all.